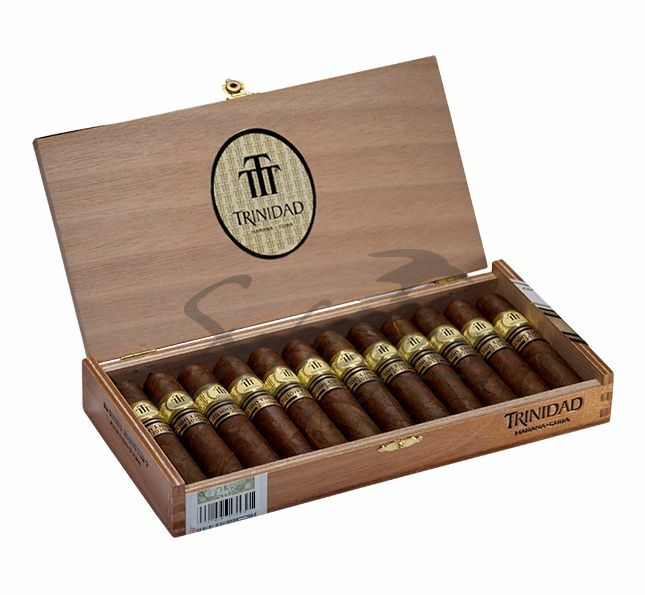 Trinidad Short Robustos T LE 2010 cigars are a limited edition release from 2010 that come in a Short Robusto shape, with a short size and gauge size of 50. The exterior is very smooth and elegant, displaying a dark brown. The strength is medium to full and the first smoke has an interesting palette of coffee, pepper and wood. The second smoke has a creamy bitter-sweet taste of dark chocolate and the last smoke has a woody flavor.